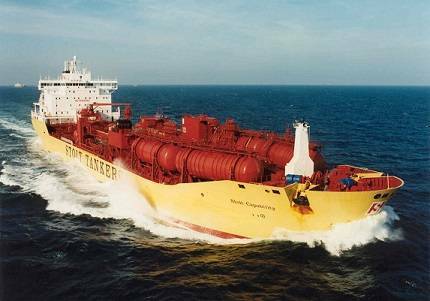 Stolt Tankers has chosen Marlink to upgrade its entire fleet of deep sea and regional tankers to the Sealink Global Ku-band VSAT service. The contract, signed in April 2013, covers the provision of Sealink to 90 tankers, resulting in significant bandwidth enhancements across the fleet, meeting Stolt’s changing connectivity requirements for operational and crew communication. As the owner of one of the world’s largest and most sophisticated global tanker fleets, Stolt Tankers required a global VSAT service to enable faster, more reliable and predictable cost connectivity and voice communication for its vessels. The company is experiencing huge demand for reliable connectivity with higher bandwidth today, but also requires a future proof solution to meet its needs tomorrow. Marlink has designed a hybrid network solution using global Sealink connectivity featuring automatic beam switching as the primary channel and MSS Services as back-up for Stolt Tankers. The XChange solution from Astrium Services acts as the central platform for delivering value-added services for each vessel’s crew connectivity and offers easy administration of user accounts, crew and network access, and prepaid services. Marlink has integrated an MPLS connection to Stolt’s Headquarters, to secure reliable end-to-end connectivity and will provide global support for all aspects of the multi-layered network. The solution is designed with extensive Ku-band VSAT coverage, a MSS backup and a Service Level Agreement. This integration with terrestrial systems results in a fully managed connectivity service for Stolt. Stolt has chosen the customized Sealink Service Agreement, which ensures full 24/7/365 access to Marlink’s worldwide support network, staffed by experienced VSAT experts and engineers. Marlink will also train Stolt’s own engineers to prepare each vessel for installation, ensuring an efficient start-up for the company’s new VSAT network. Installation is expected to start in June with all vessels scheduled to be online by the end 2014.